Need more information about booking Home 1344542 ? The Old Apple Store is one of two gites that have recently been refurbished. It is set in a small complex comprising the owners house and two independent gites on a 5 acre site situated in the peaceful hamlet of Puymangou in the Western Dordogne. The property is full of character having been created from the original farm cottage and the old apple store. There is a bright sunny lounge/diner with a log burner and wonderful views of the countryside. Stairs lead up to the double bedroom and bathroom with bath and separate shower (both with stunning views) Leading off the living area is a spacious kitchen opening onto a private decked area with barbecue and outdoor seating. A separate open plan stairway leads up from the kitchen to a mezzanine bedroom with twin beds. (This may not be suitable for very young children) We can also provide a travel cot on request. Outside you will find a swimming pool and professional standard tennis court and of course plenty of space to find a quiet corner to sit with a book, sketch pad or simply enjoy the tranquillity. We also have several bicycles which can be borrowed to explore the beautiful surroundings. One of the original barns has been turned into a games room with pool table, table football and dartboard - the perfect place to relax over a drink in the evening. The sunsets are quite spectacular and once the sun has set the night sky is ablaze with stars. 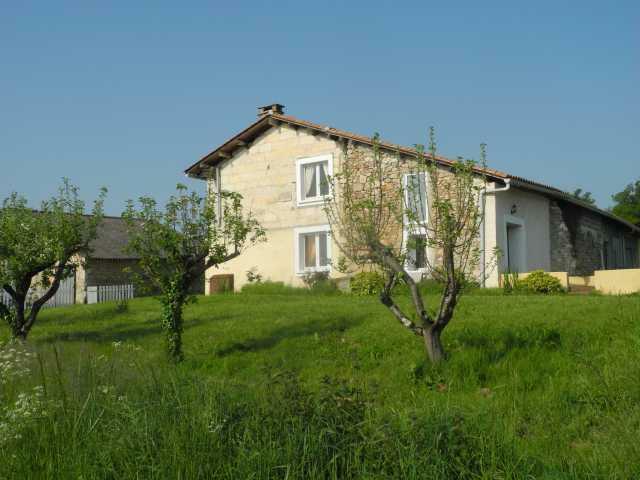 This Gite has 2 bedrooms, 1 bathroom and sleeps 4. It’s been listed on Holiday Lettings since 02 Mar 2014. Located in Dordogne, the average weekly rate varies from £487 to £659. The Owner has a response rate of 100% and the property’s calendar was last updated on 26 Jan 2019.